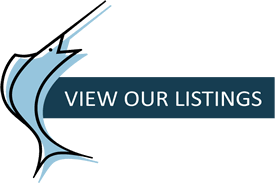 Restaurants For Sale Portland | Marlin Group, Inc.
"The Marlin Group is our expert restaurant transaction advisor. resolution, refinancing and preparing our company for sale." acting in the best interests of all concerned." Define what you are looking for - We listen. The Marlin Group specializes entirely in the sale, acquisition and leasing of restaurants, bars, clubs and other food and beverage related businesses. Throughout our decades of experience we believe we have refined the intricacies of completing a successful business sale/acquisition. Our Restaurant Team is focused completely on the restaurant industry. Our people have owned, operated and, most importantly, we have had decades of experience successfully brokering restaurants and bars. Most all of the Buyers that are searching to acquire a restaurant in Oregon, whether they are local or from out of state, will inquire with the Marlin Group during the process of their search. Either we find them or they find us. Being well known as the restaurant specialists among Sellers means that we will always have a strong inventory of restaurants and bars being offered for sale. Tell Us What You’re Looking For! We will perform valuations, expert testimony and consulting, as well. We pre-qualify Buyer prospects before providing details on a business. We have a complete professional Offering Memorandum on each business that is being offered for sale. We maintain databases and track transaction statistics so we can provide you with accurate market expectations. We have a higher rate of successfully completed transactions because we work with qualified, motivated candidates. Contact Marlin Group, Inc with questions about buying or selling a restaurant. To be Keenly aware of our markets – Adept at analysis, thorough in our presentations – Loyal to the best interests of our clients – Experienced in negotiations – Efficient with the project management aspects of getting a transaction completed in a timely manner – Excellent as the hub of communication through which the principals and their professionals can coordinate and finish a transaction. © 2019 Marlin Group. All Rights Reserved.